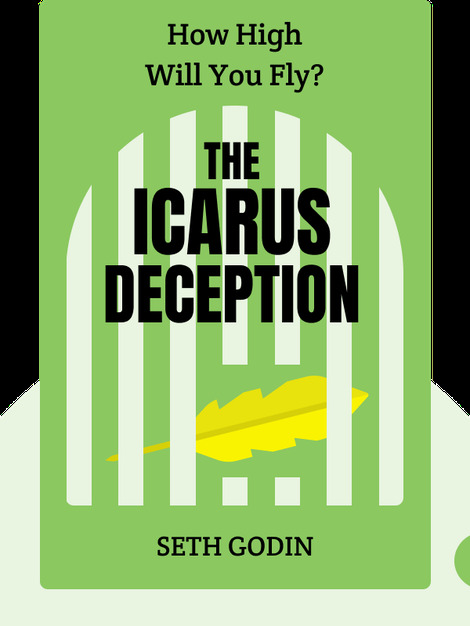 The Icarus Deception (2012) takes aim at a myth as old as the ancient Greeks – that aiming high is bound to end in tears. Icarus might have flown too close to the sun, but we usually forget that he was also warned not to fly too low. Why does that matter? Well, we’re living in a new economy in which maintaining altitude on cruise control just won’t cut it. The new, global and connected economy is here to stay, and once “safe” jobs are being automated. Those who want to thrive better set their sights high. And that means one thing above all: living and working creatively. 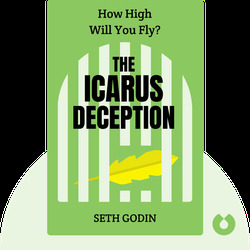 Seth Godin is the bestselling author of several books, including Purple Cow, Tribes and Poke the Box. A popular business and self-help blogger, he also founded Squidoo, a blogging platform that brings people together who wish to write about and share their passions.